Nearly 75% of water used in Northern American households is used while inside the bathroom, so this is the most logical area to start. Shorten the length of showers that you take. 10 minute showers use nearly 40 gallons water while a 5 minute shower uses 20 gallons. Cutting the length of your shower in half will use half the water. Installing a low flow showerhead will also cut down on your water usage. They are available at most hardware stores. An efficient showerhead can be bought for less than 25 dollars. 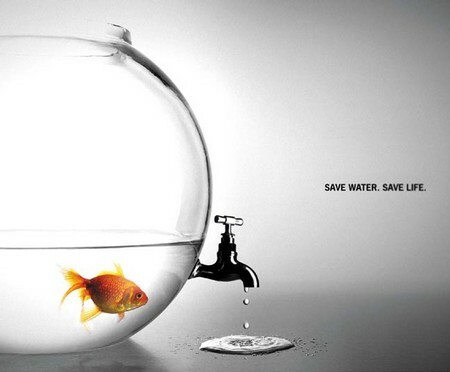 You shouldn’t feel any difference in water pressure but in theory your water usage should drop. Another thing you need to do is to check whether your toilet is either leaking or constantly running. The best way to check for leaks is by adding food coloring into the tank and waiting a couple of minutes. If there is food coloring in the bowl then the toilet is obviously leaking. The replacement parts of your toilet are very cheap and easy. Parts are usually available at most home hardware stores and those stores will almost certainly have pamphlets showing you how to do it. Minimizing how much water that your toilet uses each flush is easy. All you have to do is put a plastic bottle filled with gravel or sand into the toilet tank. This will replace part of the water that your toilet will be using every time it flushes. Install insulation around the outside of all your hot water pipes as this will help in keeping the water in your pipes warm. If it is warm, you won’t have the same amount of cold water while waiting for hot water from your taps. One of the most important things to go is checking to check if any taps are leaking. Replace or repair whatever is wrong with the tap as it will save you money in the long run. Adding low flow aerators around all the taps in your home is cheap, simple and will reduce the amount of water that you are using in washroom basins and the kitchen sink. Make sure that you run your washing machine and dishwasher only when they have full loads. Both partial and full loads use exactly the same measure of water, so this will make the most efficient use of water. Don’t forget that it is very easy to install a rain water tank into your backyard to use rainwater to water the plants that are in your garden. This will also save you money in the long term.